Winners of three straight National League West titles, the Los Angeles Dodgers turn to a familiar face for their postseason opener as the club announced Clayton Kershaw will start Game 1 of the NL Division Series against the New York Mets. Zack Greinke was named the starter for Game 2, and Brett Anderson for Game 3, when the series shifts to Citi Field in New York. The Dodgers didn’t name a starter for a potential Game 4. Kershaw has taken the ball in such games on short rest in each of the last two postseasons. Kershaw allowed one run in seven innings against the Atlanta Braves in Game 1 of the 2013 NLDS at Turner Field, helping guide the Dodgers to a 1-0 series lead. He also started Game 1 against the St. Louis Cardinals in the 2014 NLDS, but suffered a home loss as he came undone in the seventh inning. For his career, the reigning National League MVP and three-time Cy Young Award winner in 1-5 with a 5.12 ERA and 1.24 WHIP over 11 postseason games (eight starts); including 1-2 with a 3.90 ERA and 1.05 WHIP in five NLDS starts. 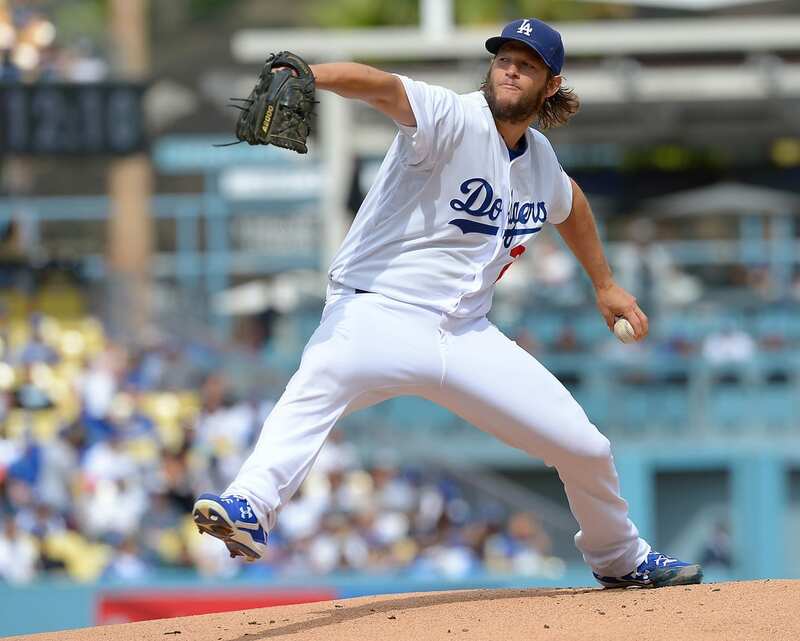 Kershaw faced the Mets twice this season, splitting the starts at Dodger Stadium (July 3) and Citi Field (July 23). He allowed one run on five hits over seven innings in the first outing and didn’t earn a decision. Kershaw then threw a complete-game shutout with 11 strikeouts in New York. Greinke’s career season, which has him in the thick of the Cy Young discussion, had some believing he deserved to open the series for the Dodgers. After all, it was Greinke who this year snapped Kershaw’s streak of leading the Majors in ERA at two seasons; Kershaw led the NL in ERA the last four seasons. 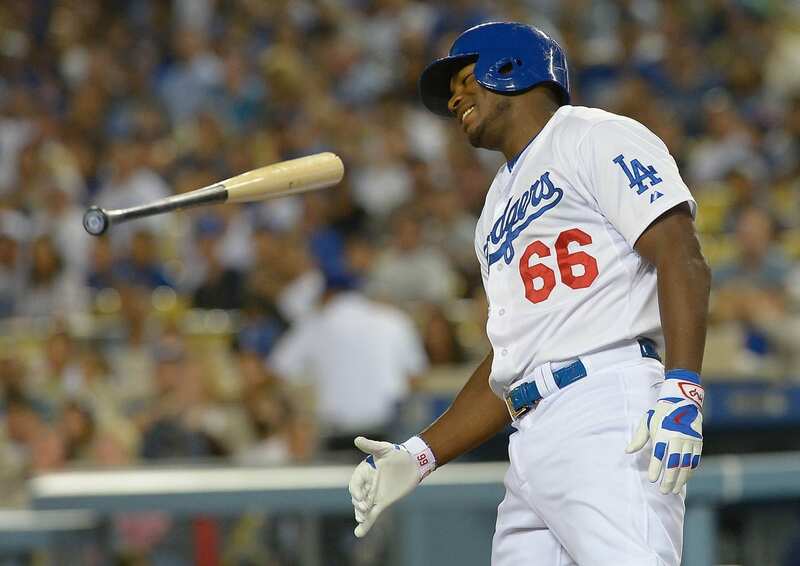 Given that, Dodgers pitching coach Rick Honeycutt doesn’t believe one ace had the upper hand on the other. “These guys are as solid as they come. To say one should start over the other I think is very difficult to say,” Honeycutt said on Tuesday during the Dodgers’ first NLDS workout. “They have both been excellent, have great abilities and shown great stuff. Whatever the factors may be, we’re lucky to have two choices.” Like Kershaw, Greinke also made one home start and one on the road against the Mets in 2015. The right-hander threw seven scoreless innings at Dodger Stadium, en route to earning a win, and allowed two runs in seven innings at Citi Field — a game the Dodgers lost, but Greinke didn’t have a decision. The Mets snapped his scoreless streak at 45.2 innings that afternoon. As for electing to go with Anderson over Alex Wood in Game 3, Anderson went 7-4 with a 3.07 ERA and 1.30 WHIP in 15 road starts this season. Compared to Wood, who finished 7-7 with a 3.87 ERA and 1.41 WHIP in 20 games (19 starts) on the road; including his time with the Braves. Of the two, only Wood faced the Mets this season, though when he was still on the Braves’ staff. The left-hander 0-1, tossed a combined 13 innings and held a 4.85 ERA and 1.62 WHIP. Assuming Wood makes the Dodgers’ NLDS roster, which is a safe bet, and the club doesn’t call on him out of the bullpen through the first three games, he would be available to start a potential Game 4.